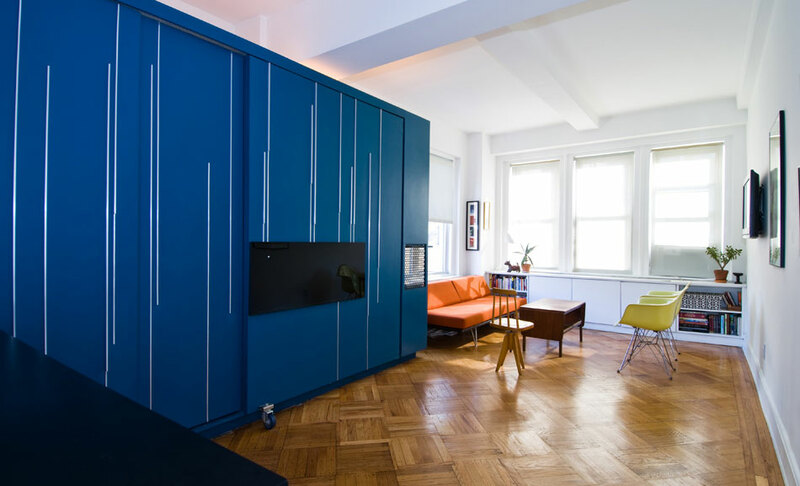 Having a small apartment doesn’t always mean you have to sacrifice beauty for function. 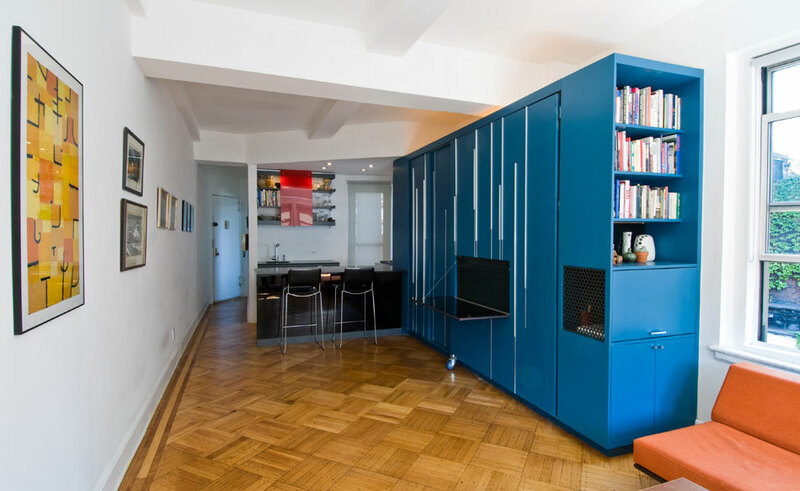 Choosing soft colors is a good starting point for designing a small space, and little interior design tricks can often make a small apartment feel more spacious and inviting. 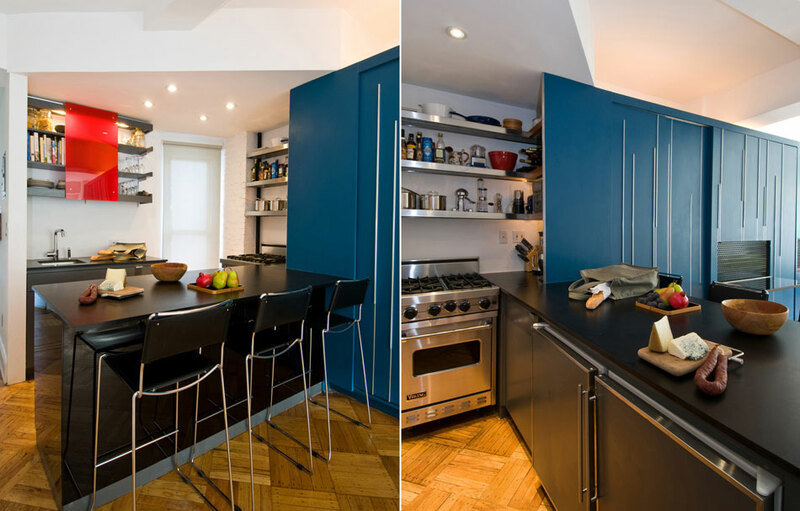 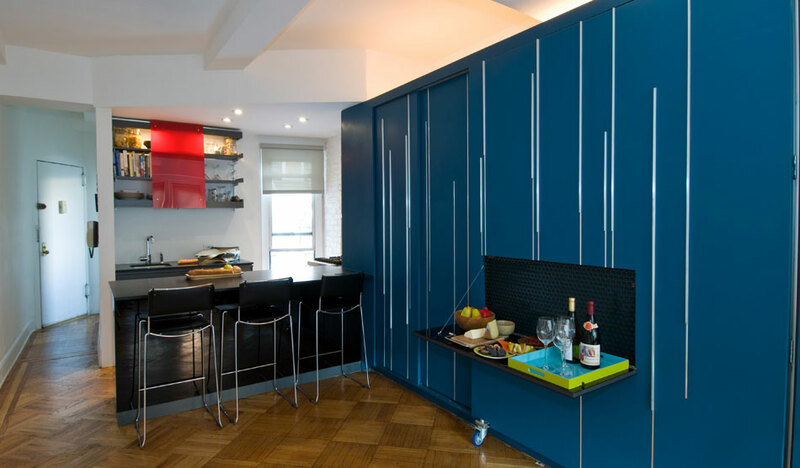 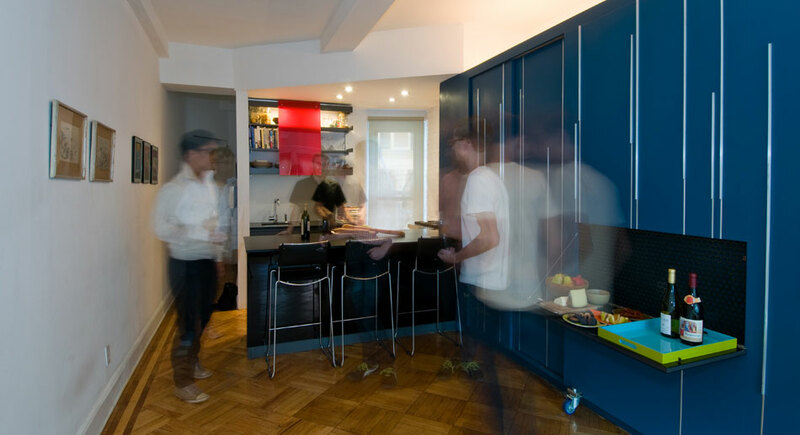 The following is a 450 square feet apartment in Manhattan, New York. 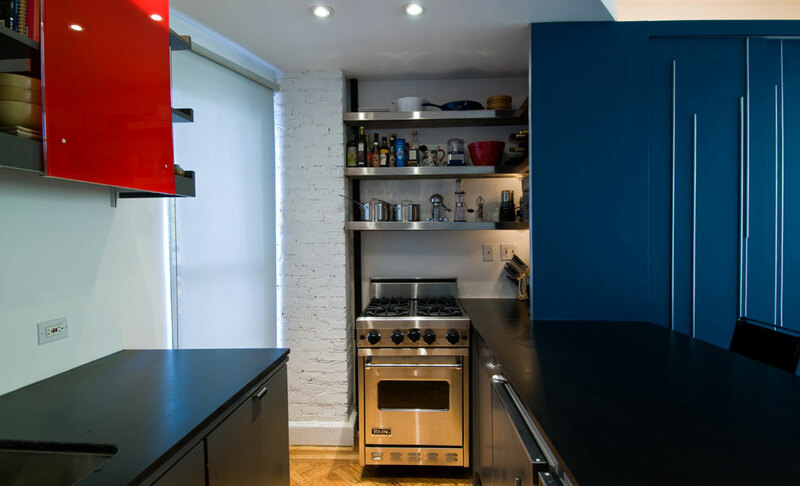 The owner entrusted the task of making this little space beautiful and livable to famous designer Normal Projects based in New York. 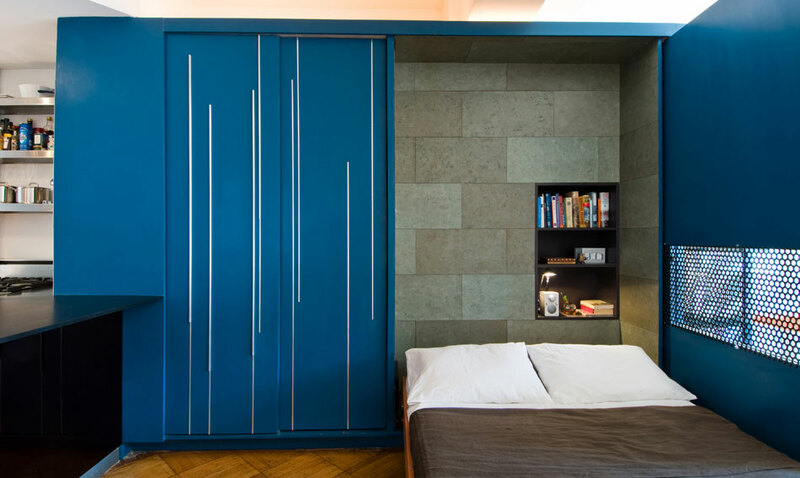 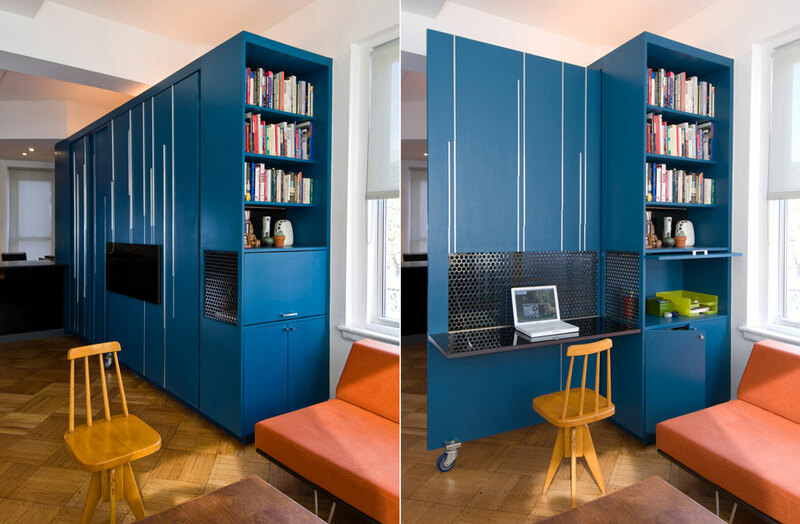 The designer makes very smart use of furniture based on limited space available, which can no doubt give some ideas for your own potential small apartment design.